NEW DELHI: Home Minister Rajnath Singh will on Thursday inaugurate and lay foundation stone for 80 highway projects, including Lucknow-Kanpur-Expressway, worth Rs 1 lakh crore, as per an official statement. Singh, accompanied by Union Minister Nitin Gadkari and UP Chief Minister Yogi Adityanath, will also inaugurate and lay foundation stone for Namami Gange projects worth around Rs 2,000 crore in Uttar Pradesh. “He will also inaugurate/lay foundation stone for several works under Namami Gange programme worth over Rs 1,969.57 crore,” Ministry of Road, Transport and Highways said in a statement Wednesday. Singh will lay the foundation stone for construction of Lucknow-Kanpur Expressway. Besides, foundation stones will be laid for flyover at IIM crossing, Ghazipur-Phephna-Majhighat road on NH-31A, flyovers, bypasses, FOBs, underpasses for road safety on different highways, among others. 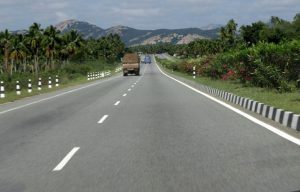 The national highways to be inaugurated include four-laning of Lucknow-Sultanpur section on NH-56, Kursi Road-Ayodhya Road section of Lucknow ring road, and Ghaghra Bridge to Budhanpur section on NH-233. Besides, two-laning of Sonoli-Gorakhpur section on NH-29E, Barabanki-Jarwal Road Junction on NH-28C, Rudauli-Basti section on NH-233, 55 km section on NH-730A will be inaugurated, among others. Singh will also inaugurate several projects under Namami Gange programme, including laying of sewerage networks of 214.88 km in Prayagraj at a cost of Rs 260.86 crore, and of 69 km including 2 sewerage treatment plants (STPs) of 9 million litre per day capacity in Garh Mukteshwar at a cost of Rs 46.51 crore, among others. In all these projects, sewerage will be collected from households and will be lifted to STPs directly. The statement said foundation stones will be laid for many projects on the main stem of the Ganga, Yamuna, Gomati, Ramganga and Kali.